CNAPs Cisco Certified Network Associate (CCNA) can be offered either as a full course programme or a fast track programme. The course is a 4 semester programme that encompasses 6 months on the principles and practice of designing , building and maintaining networks capable of supporting national and global organizations. This web based multimedia course helps you to be your first job in IT. The above programme can be offered on full time or part time basis over a 6 month period but can be extended up to 9 months. 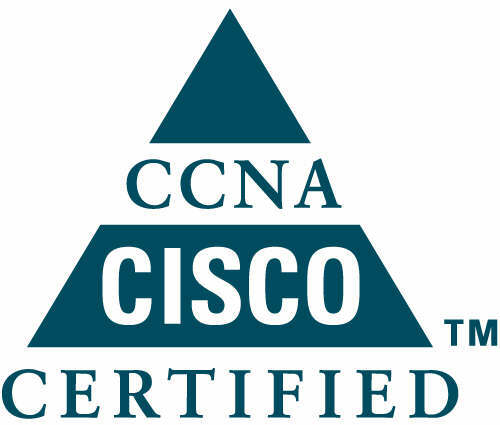 The CCNA certification (Cisco Certified Network Associate) indicates a foundation in and apprentice knowledge of networking. CCNA certified professionals can install, configure and operate LAN, WAN, and digital access services for small networks (100 nodes or fewer) including but not limited to use of these protocols: IP, IGRP, Serial, Frame Relay, IP RIP, VLANs, RIP, Ethernet, Access Lists. The CCNA Training makes a candidate proficient in the following objectives, which are the examination objectives of the CCNA 640-801 Examination. The test can be conducted at any of the PROMETRIC testing centers where the candidate will bear the exam fees as they are not included in the price.